Once again we chose Sand Hollow State Park as our location for de-winterizing the trailer. Last year it was so windy we did not get an opportunity to enjoy the park, but this year the weather that greeted us was far kinder. We spent a quiet few days here, getting groceries, setting up the phone and having the truck detailed. We have had vehicles and the trailer detailed at Saint George Car and RV Wash and they have done an above average job all times. This year was the exception. The exterior was ok, but the interior was questionable. The dusting was half done, the vacuuming no better and the glass was streaky and dusty in some places. We really should have returned, but we had other plans. And it was one of those cases where we noticed things gradually through the morning. Good thing it was only $22. 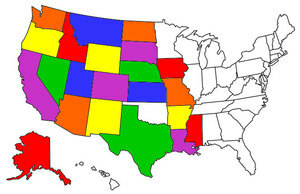 At the end of the last blog we said we were visiting Zion National Park, but we also often say our plans are in jello. We proved that once again by not going to Zion but rather taking a spin through Snow Canyon State Park. It was a great decision. We stopped for a few beautiful hiking opportunities as we drove the park. We can never get enough of these amazing red mountains in this area. The next day we decided to move on. 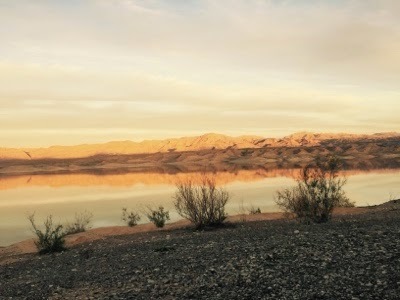 We have spent six nights boondocking at Stewart's Point, a few miles from Overton Nevada, on Lake Mead. 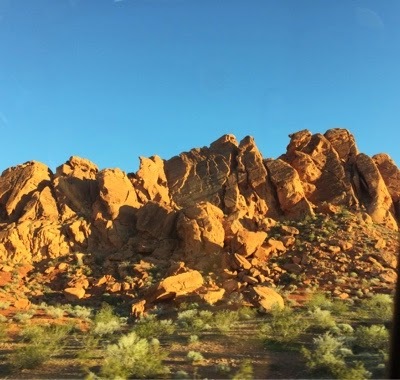 Our adventures were many, as we explored areas including the ruins of St Thomas - an abandoned town in the flats of Lake Mead, a day in Las Vegas shopping, rambling down the Gold Butte Trail, driving to and walking around Hoover Dam and a few trips to Overton for ice cream and wifi. If you've followed our blog for a few years I did an extensive post on St Thomas 2 years ago, however at that time we did not walk the area. It is a perfect hike through the remains of town, where much of your time can be spent imagining the uses for the buildings and the lives of the people who once lived there. The Gold Butte Trail promised sightings of petroglyphs, and we did spot a few, from past times and present. Our interest in the trail was a result of curiosity at our Stewart's Point camp site, where every evening we would observe headlights and wonder where they were from. So the easiest way is to set across the lake and try to locate a road, which turned out to be the Gold Butte Trail. Since our first visit to Hoover Dam in 2001 we have been watching the building evolution of the new bridge, but have never had the opportunity to see it in full use. It was well worth the drive to see the end result. With several parking lots and stairways, you can walk across the new bridge, and walk down and over the dam, allowing awe inspiring vies of the operations. Most of these visits included some walking and/or hiking, which is a bit challenging for us Canadians not yet used to the +30 ish temperatures. Ivan is well conditioned and didn't seem to notice! 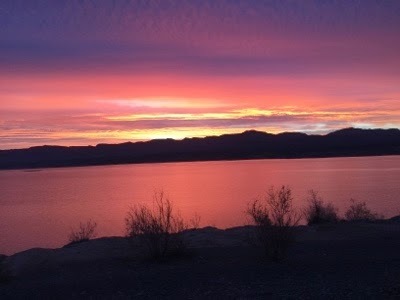 We now say farewell to Lake Mead for another year. This location continues to be the perfect choice for our first hot spot of the trip, allowing us to unwind, climatize and refresh! Here are some photos, but I'm having some challenges with photos and decided I needed to wrap this post up. Hopefully more next time!